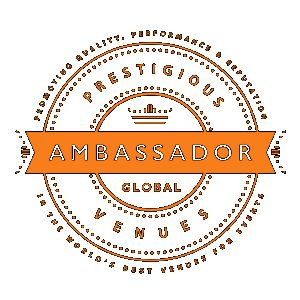 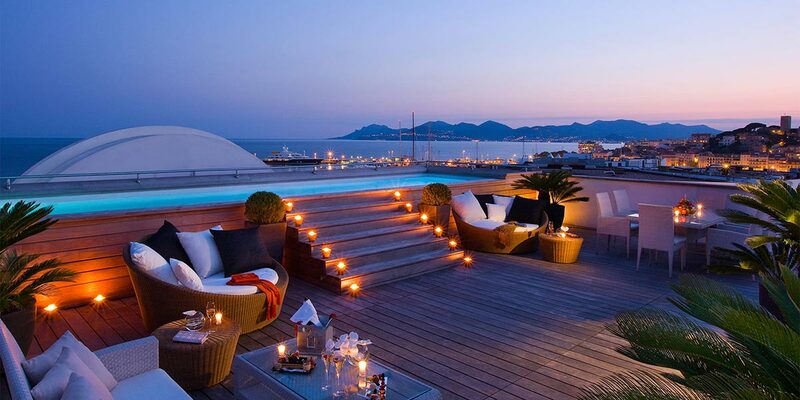 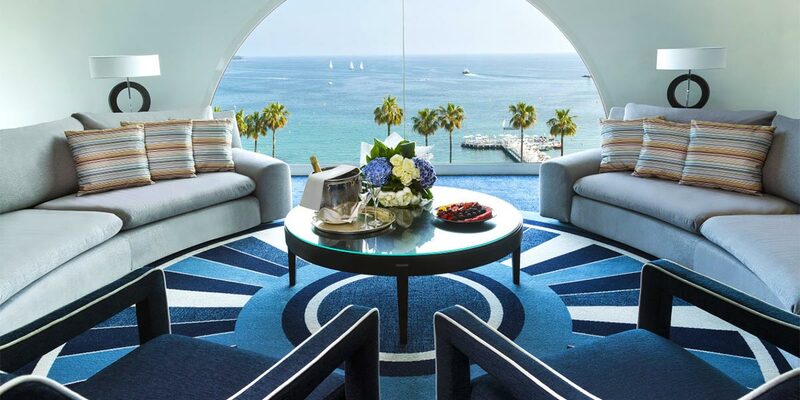 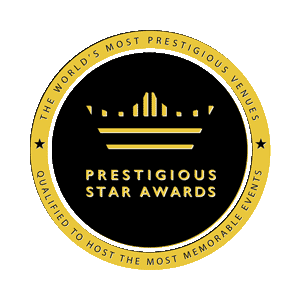 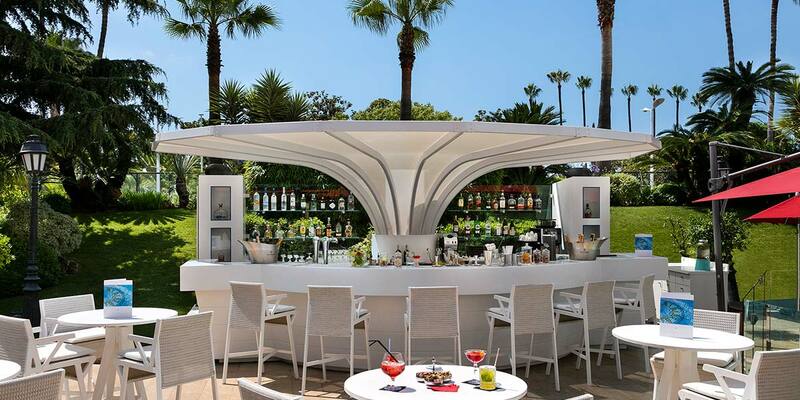 Enjoy a truly majestic experience at this luxurious venue that looks on to the Cannes beachfront. 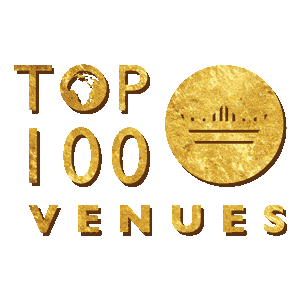 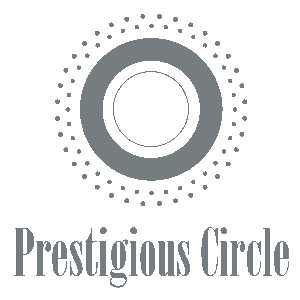 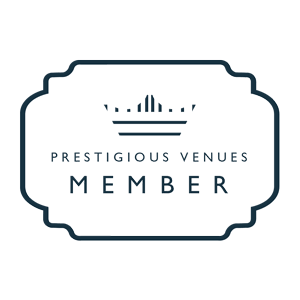 The venue has its own private beach that is open all year and where a variety of events including receptions, product launches and dinners can be held. 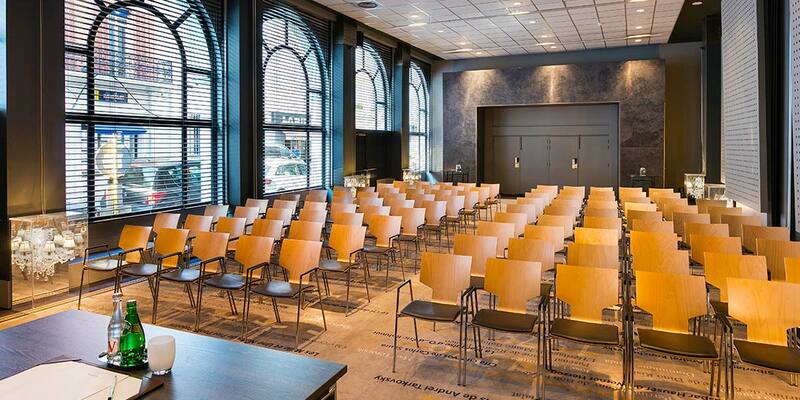 The indoor spaces can accommodate up to 500 seated for dinner or 800 for a reception. 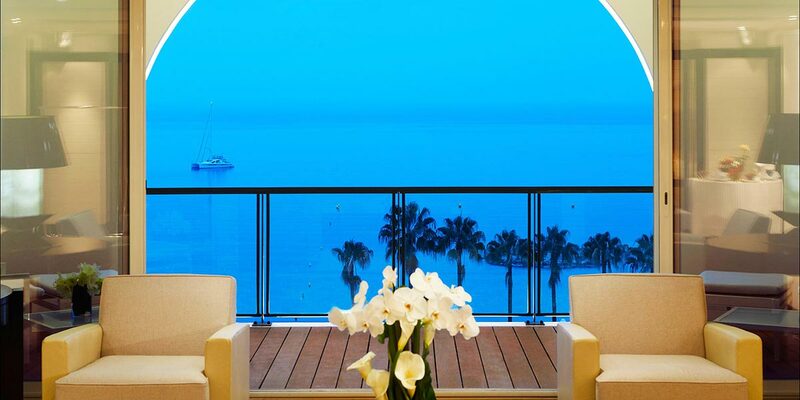 There are a variety of very special outdoor spaces that make the most of the mild Mediterranean climate and offer magnificent views. 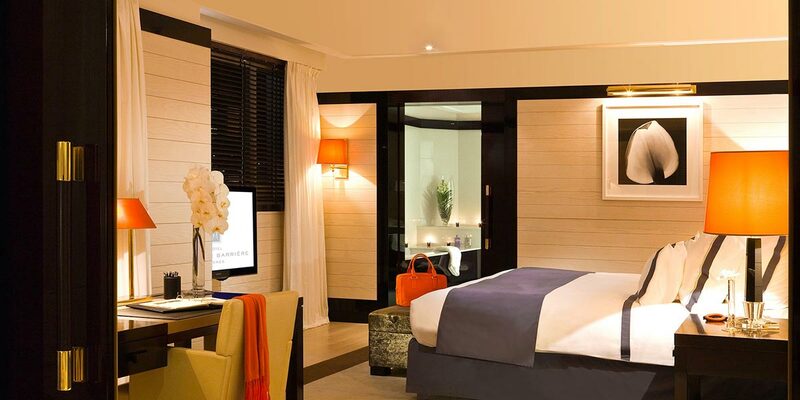 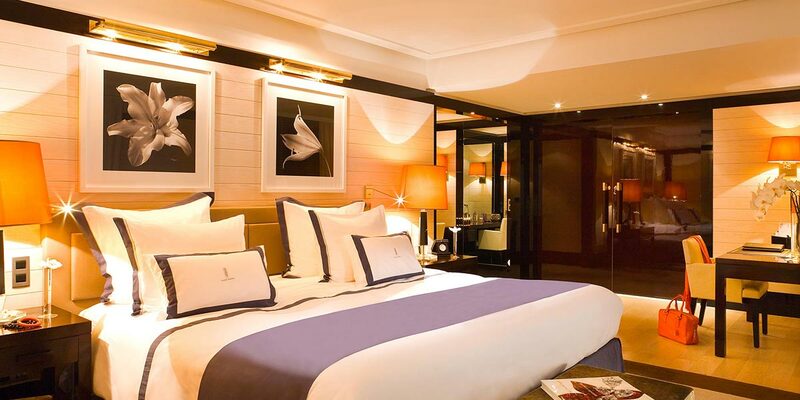 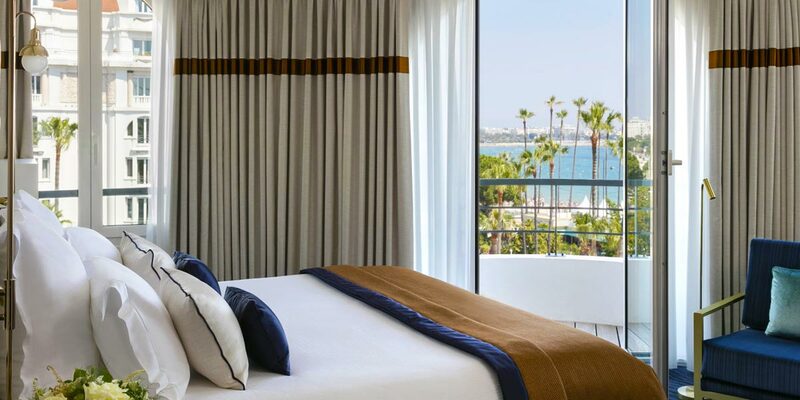 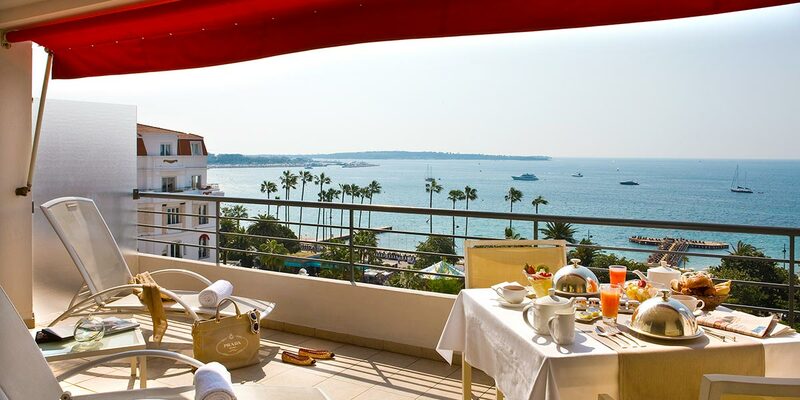 Hotel Barrière Le Majestic Cannes is located at the heart of the Croisette on the Cannes beachfront. 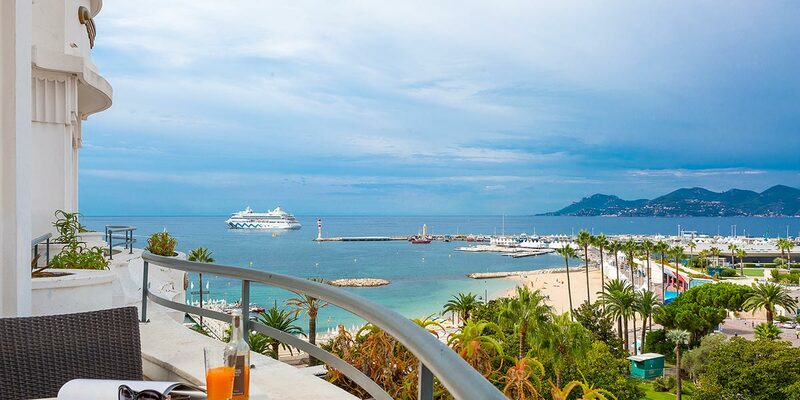 The pinnacle of the French Riviera, Cannes is a world-renowned destination known for its film festival and beautiful beaches. 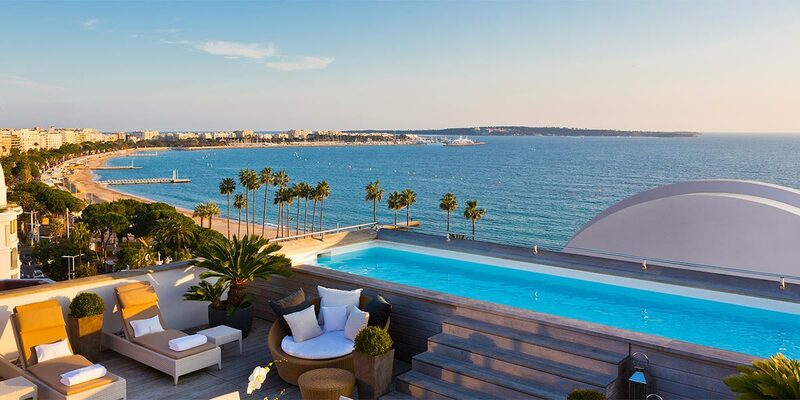 This venue overlooks the Palais des Festivals et des Congrès where the Cannes Film Festival is held and it also has its own private beach. 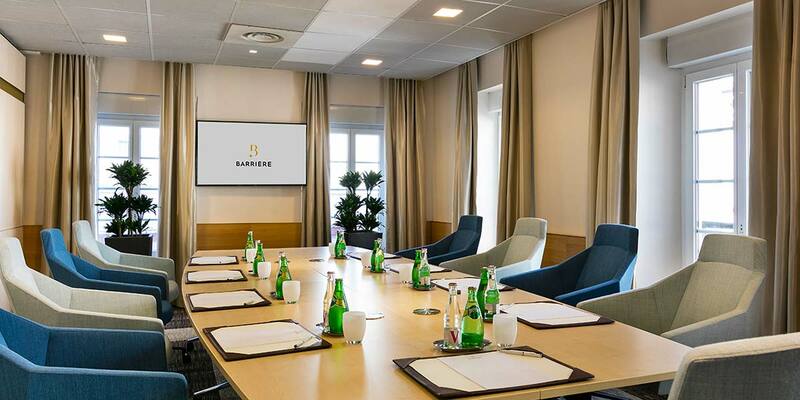 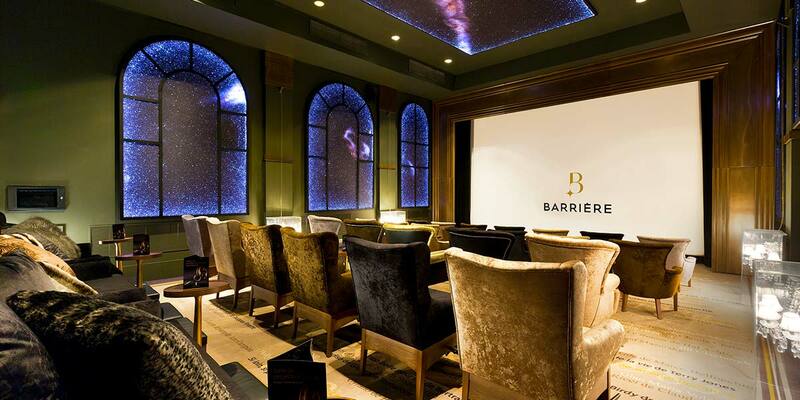 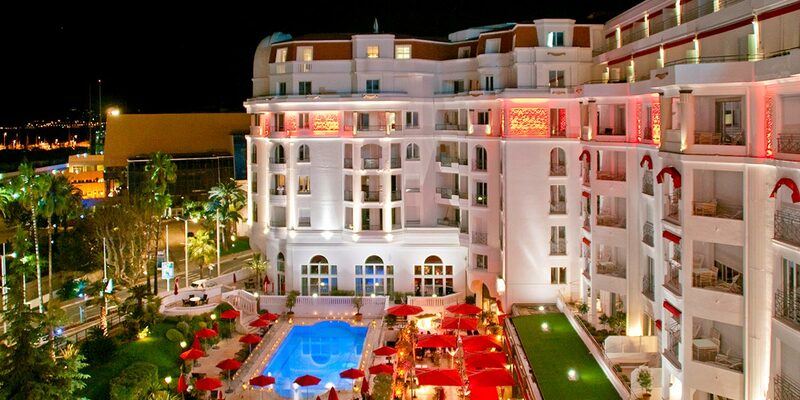 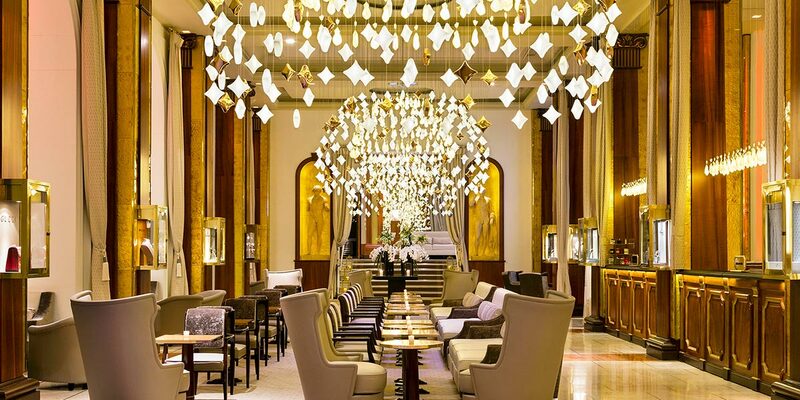 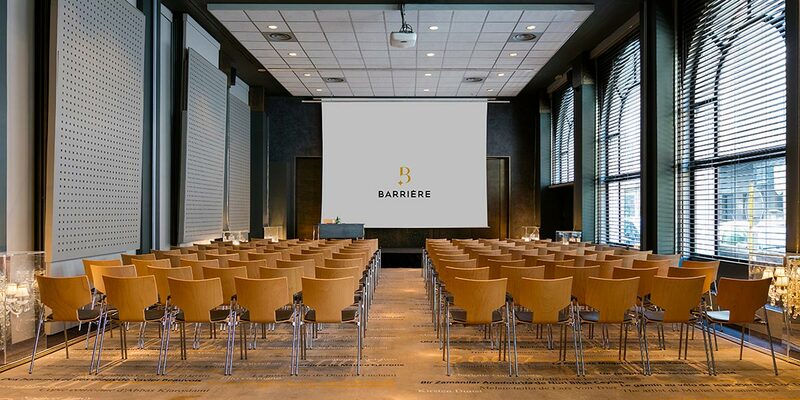 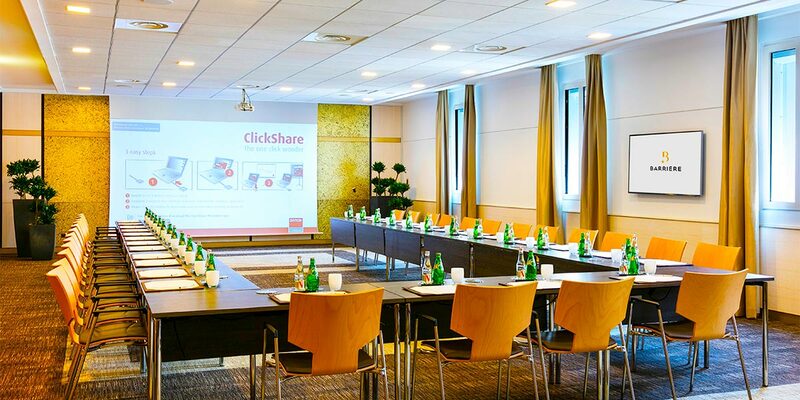 The Hotel Barrière Le Majestic Cannes event spaces can accommodate events from 10 to 1,350 guests. 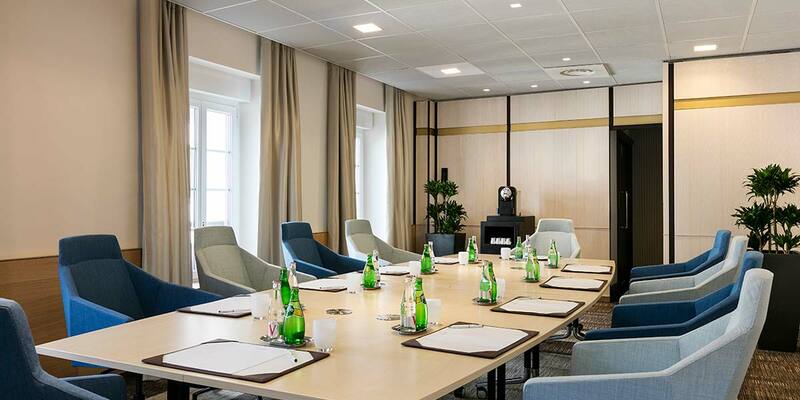 There are 17 fully equipped meeting rooms and event spaces as well as 350 bedrooms and suites. 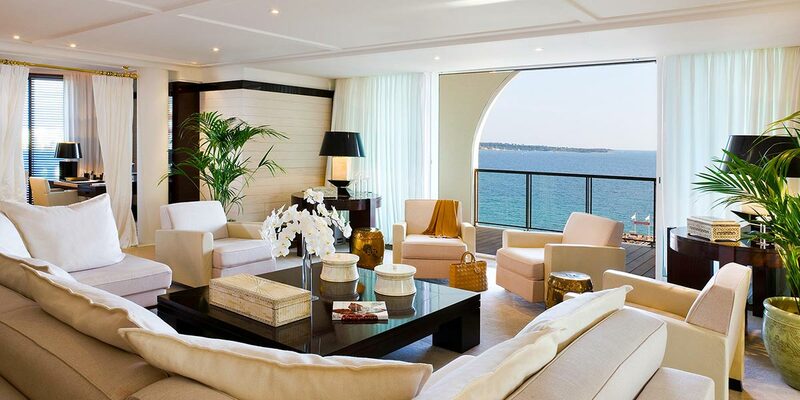 The property also has two newly renovated Penthouses with some of the best views in the city. 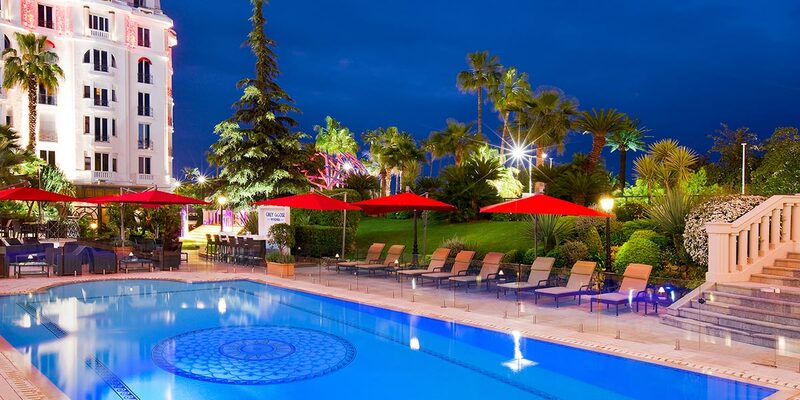 All year round, guests can enjoy the heated outdoor pool and the trendy beach club. 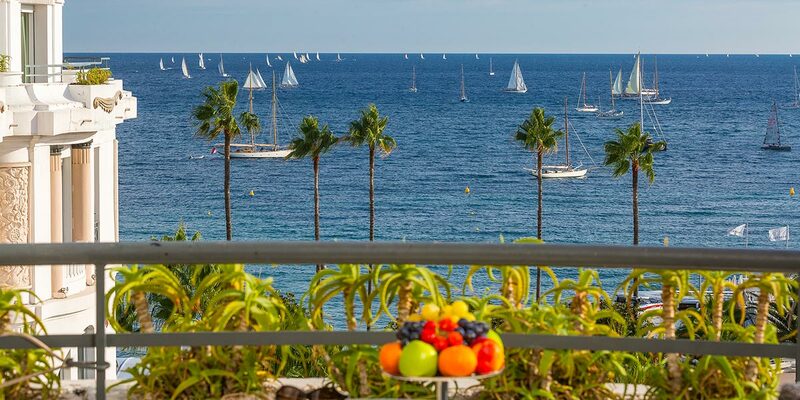 Here you can arrange a lunch on the beach, host a sunset cocktail reception on the sand or arrange sporting activities as part of an incentive or team building event. 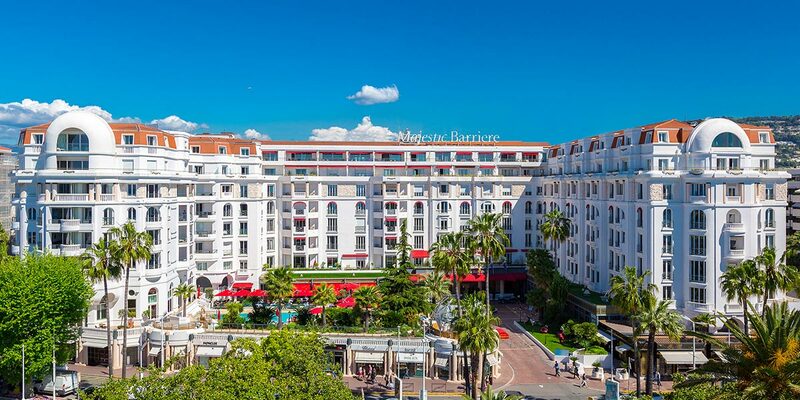 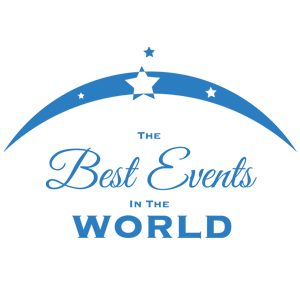 The venue is also located just 5 minutes from the main Cannes train station so it is very easy for delegates or event attendees to access. 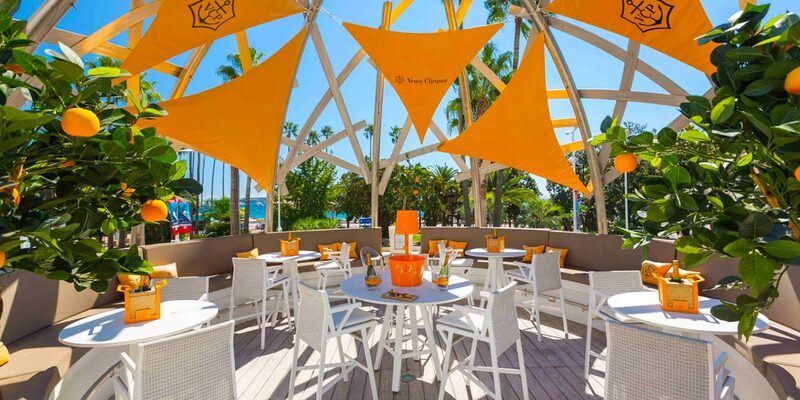 Most noteworthy is the decadent Veuve Clicquot Terrace, which offers a range of champagnes to be sipped alfresco. 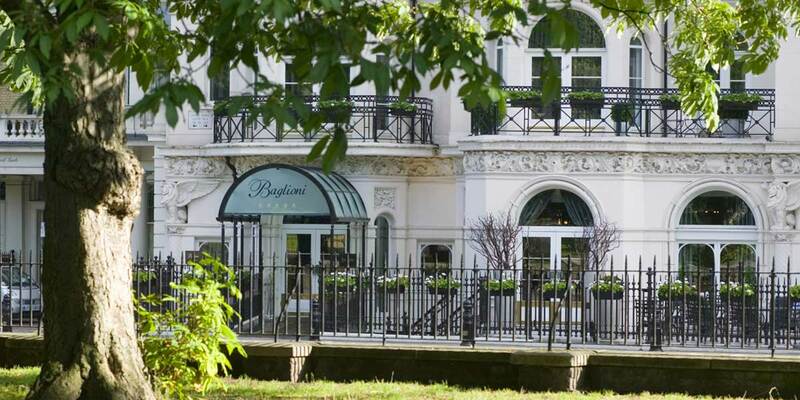 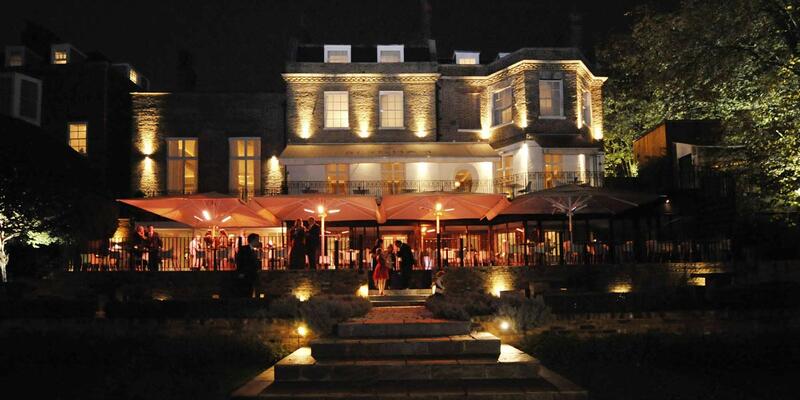 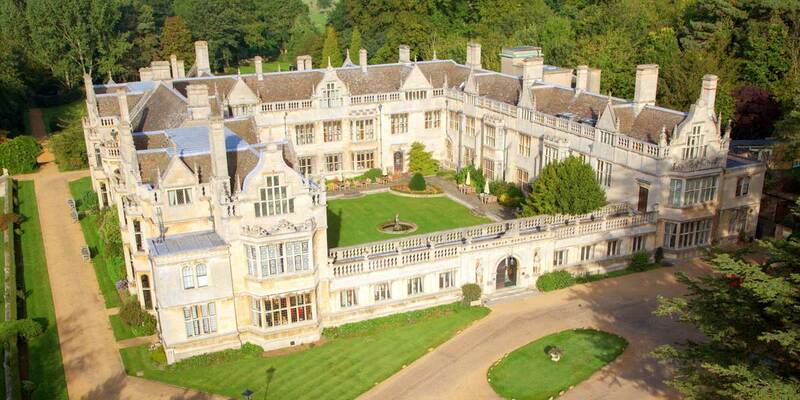 The perfect location for a drinks reception or summer party, this is one of the venue's most popular spaces. 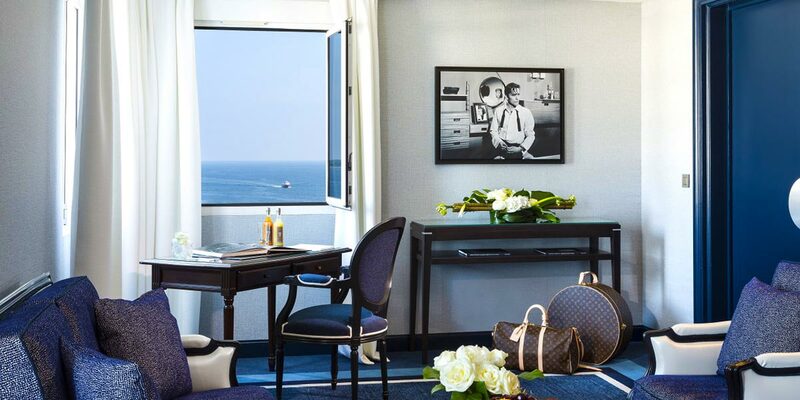 The Majestic Suite, located on the 7th floor of hotel, is a real treasure. 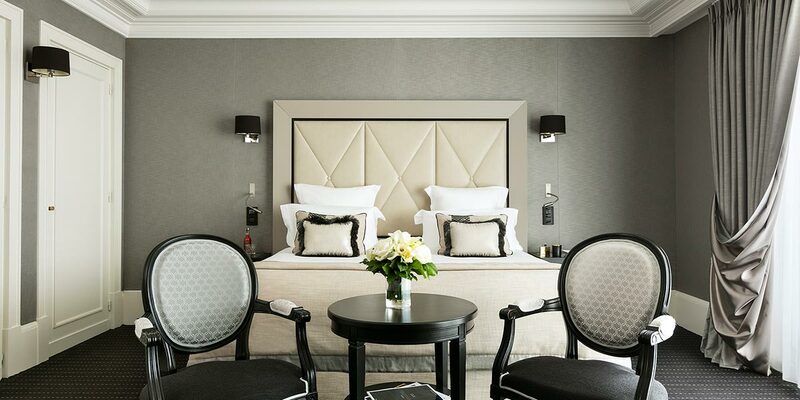 It is amongst the most sumptuous suites available in Europe. 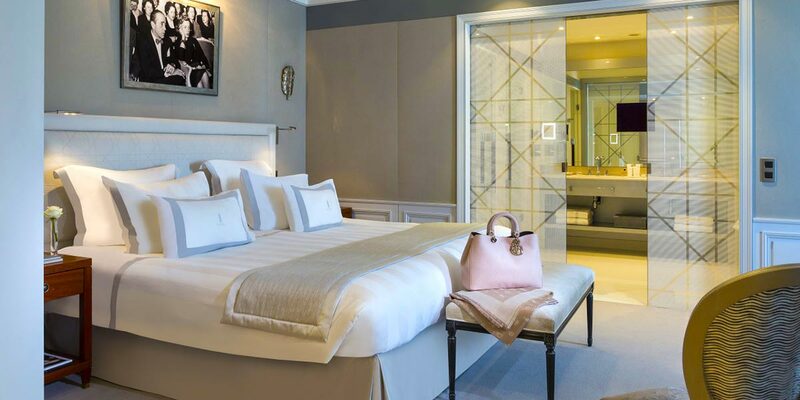 It comes with a huge dressing room, a home cinema, an incredible white oak and mahogany dining room, a fitness centre with an experience shower, and a dedicated Butler. 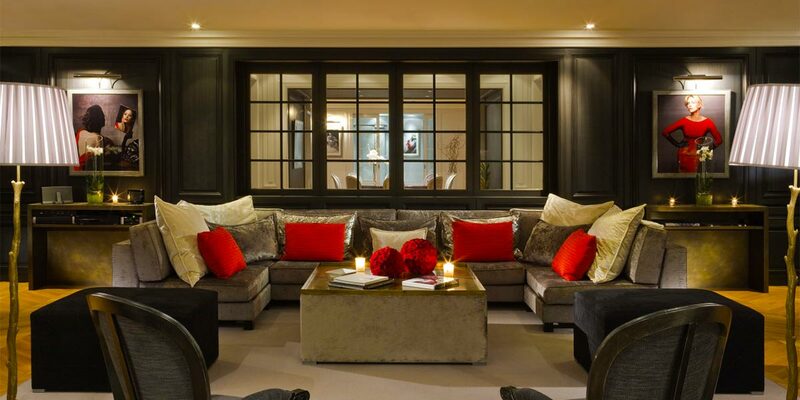 The Suite is perfect for intimate meetings, interviews or product launches. 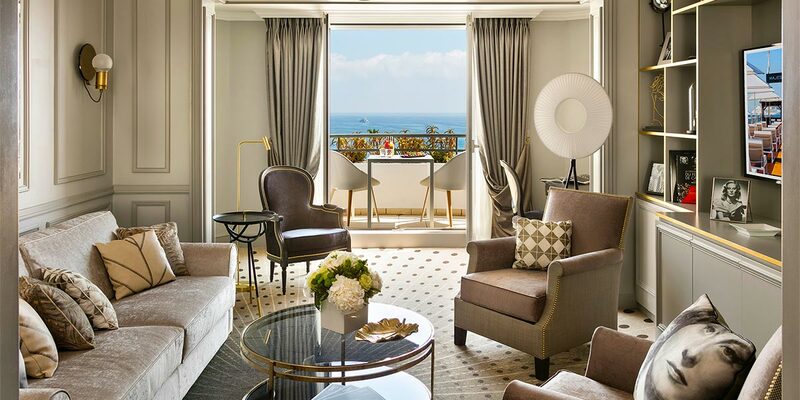 Similarly, the famous Christian Dior Suite is a sumptuous 450m² apartment with a 180° outdoor terrace overlooking the Mediterranean sea. 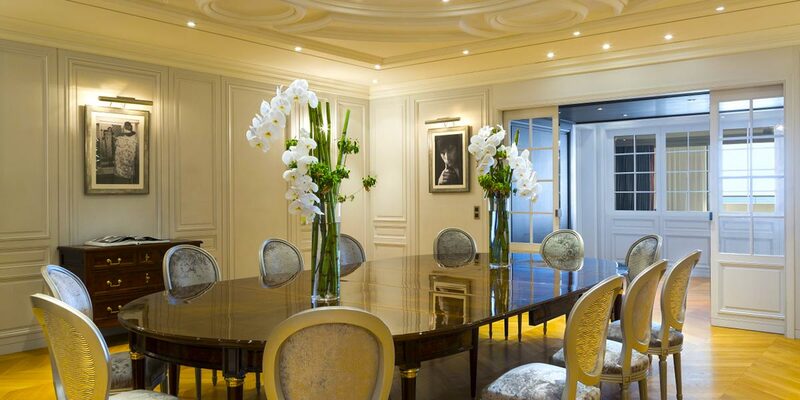 This beautiful space incorporates the style of the famous Parisian couture label and it can host up to 9 for a small reception or dinner. 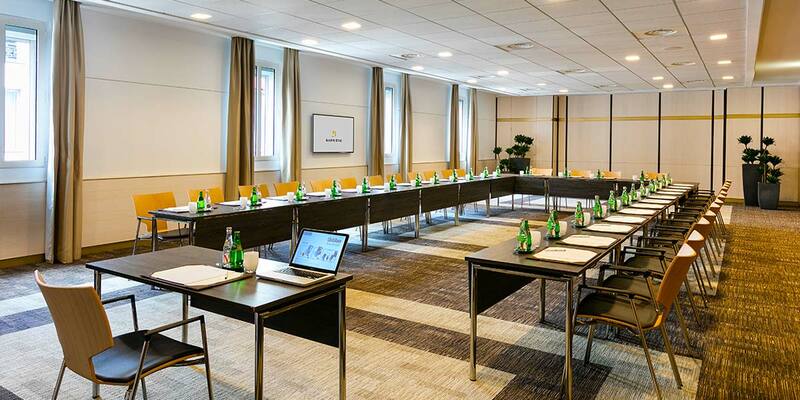 The Croisette room is a newly renovated event space with elegant furnishings. 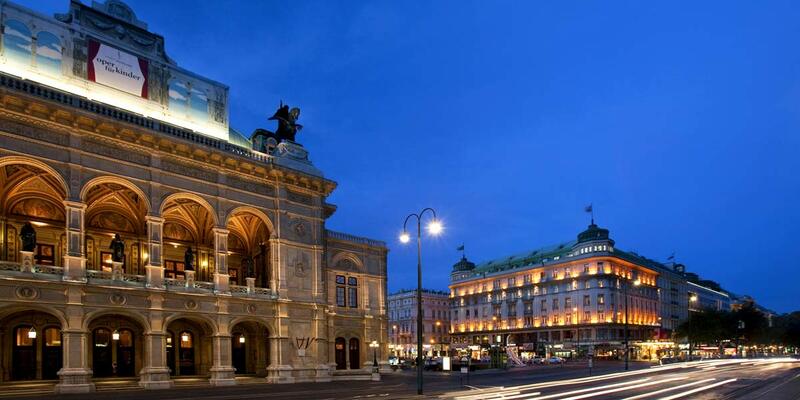 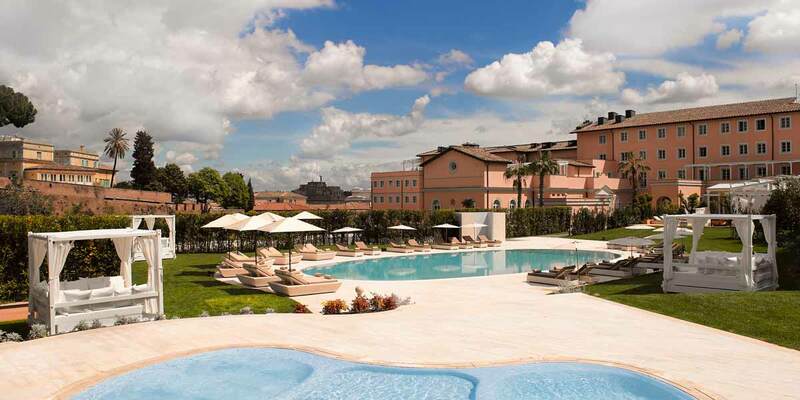 It is positioned on the ground floor of the hotel and measures 400m². 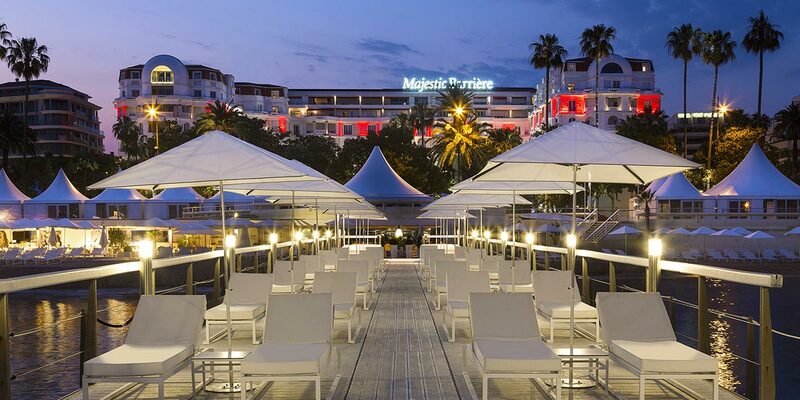 The Croisette can seat up to 400 guests for dinner or host up to 800 for a reception. 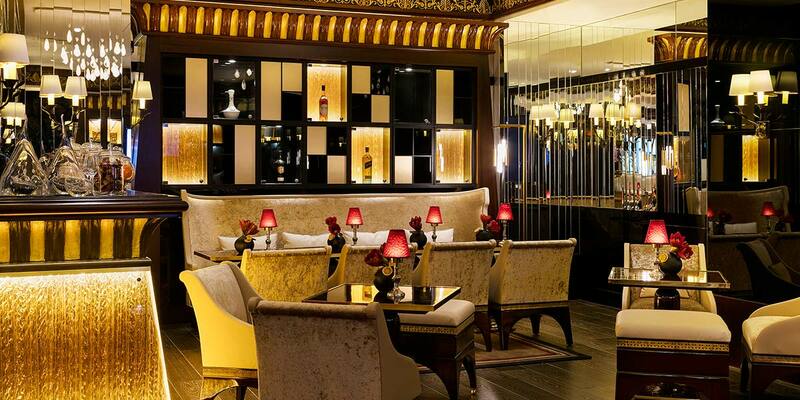 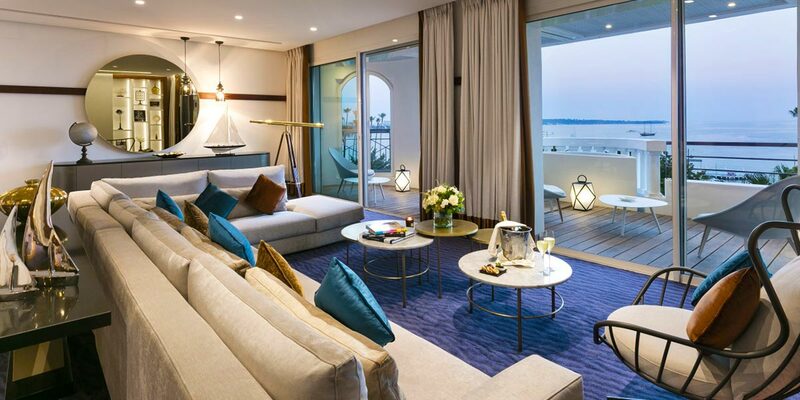 The Dinard room is often used in conjunction with The Croisette and has excellent acoustics. 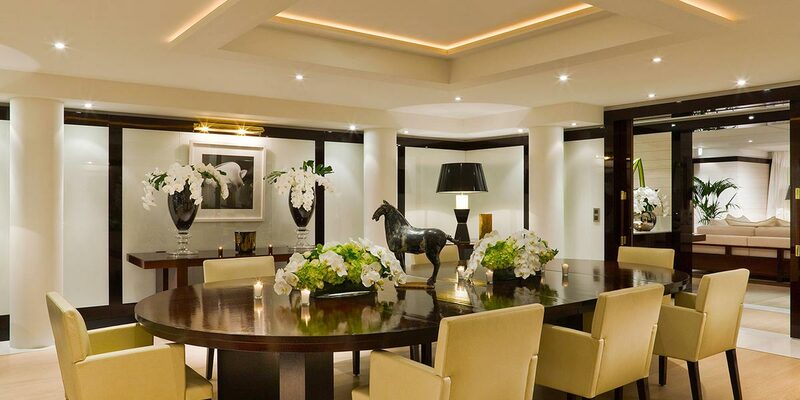 It can host up to 100 for dinner or 200 for a reception. 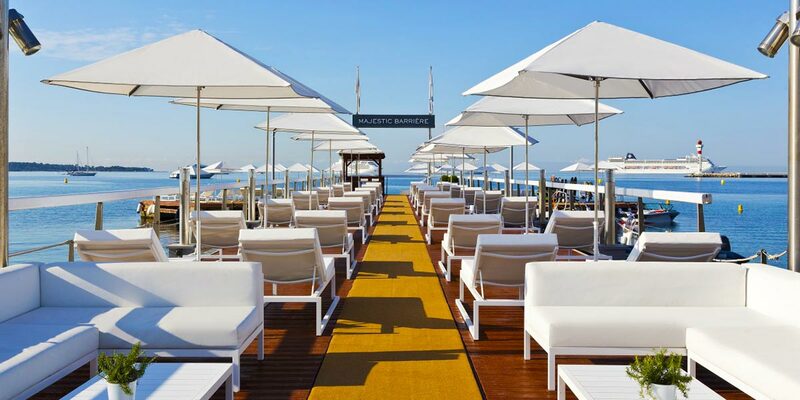 In addition, the hotel's private beach can accommodate up to 1,350 people for an event. 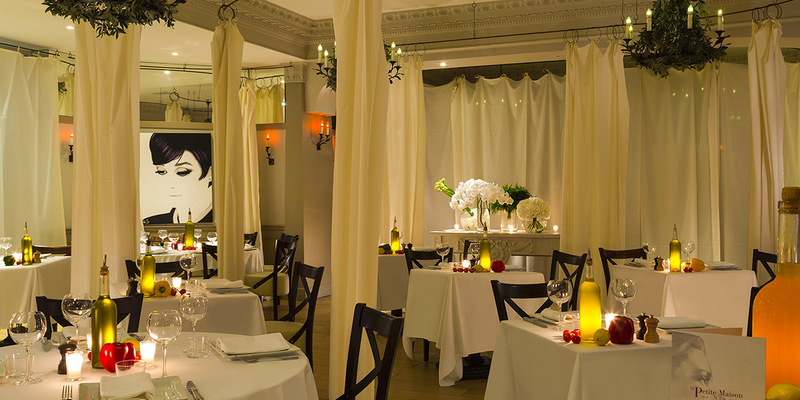 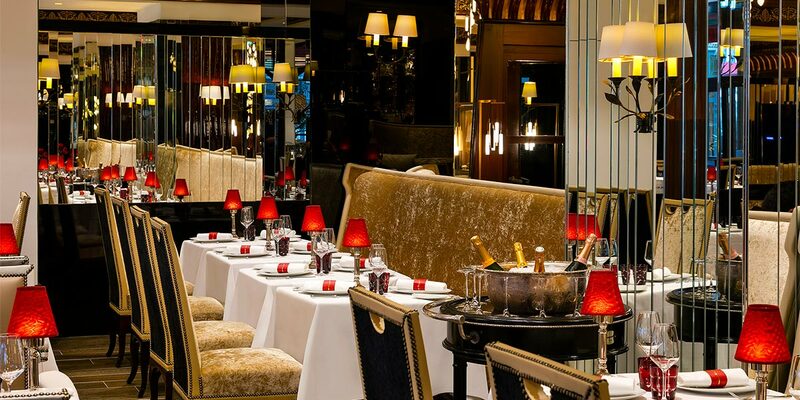 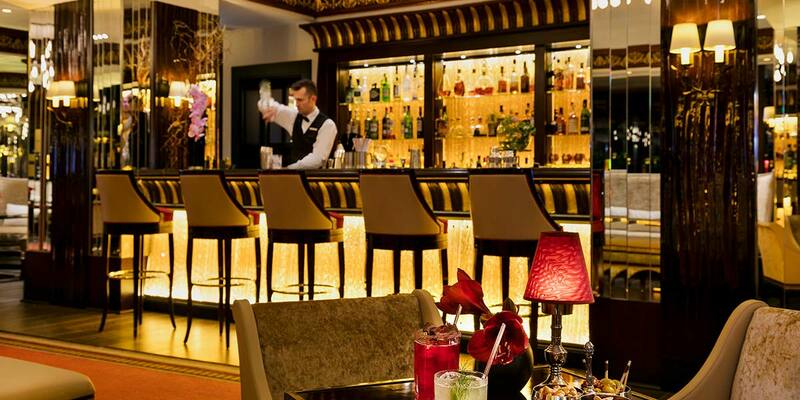 As you would expect from this renowned establishment, Hotel Barrière Le Majestic offers the finest French cuisine across no less than three restaurants. 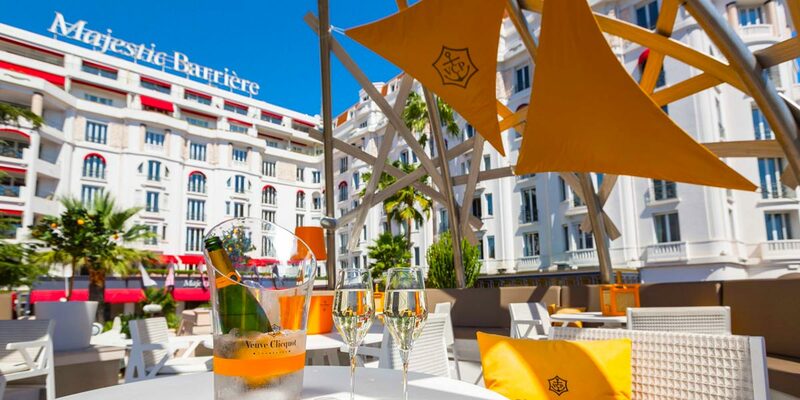 These are Le Fouquet’s Cannes, the Provencal Petite Maison de Nicole, and the more relaxed beach restaurant known as BFire. 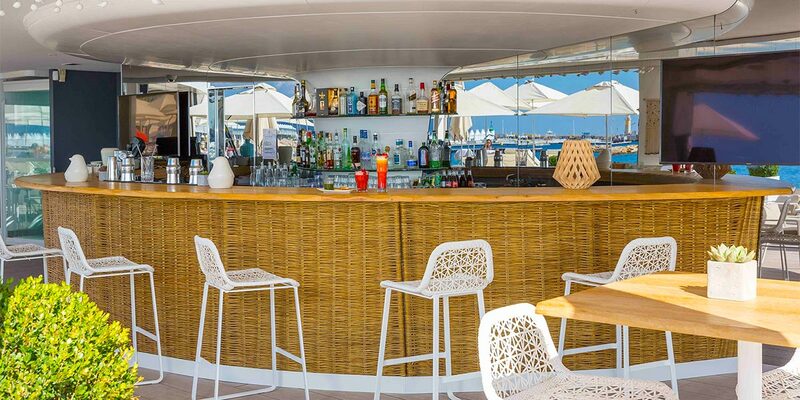 Laid out in two separate spaces, BFire offers gourmet à la carte dining inside alongside a special beach menu. 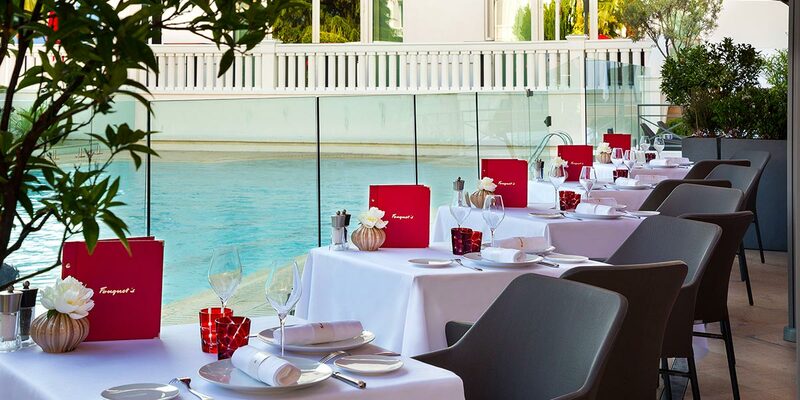 A stone's throw from the Palais des Festivals, Le Fouquet’s Cannes continues the brasserie-style of its prestigious Parisian relation. 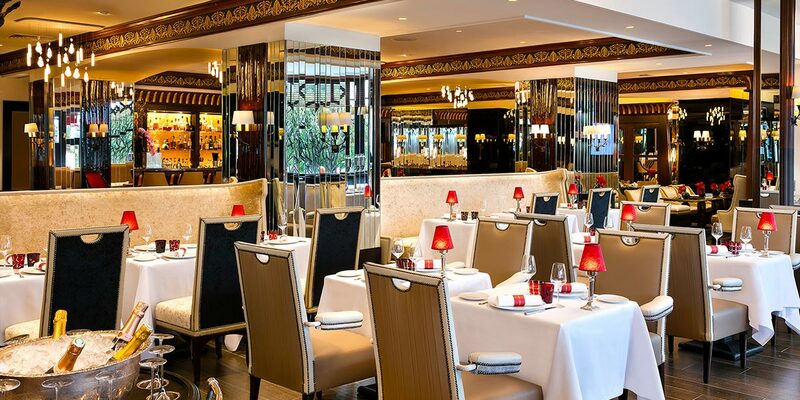 On the menu created by Pierre Gagnaire, brasserie classics are revisited, attracting well-known gourmands and celebrities. 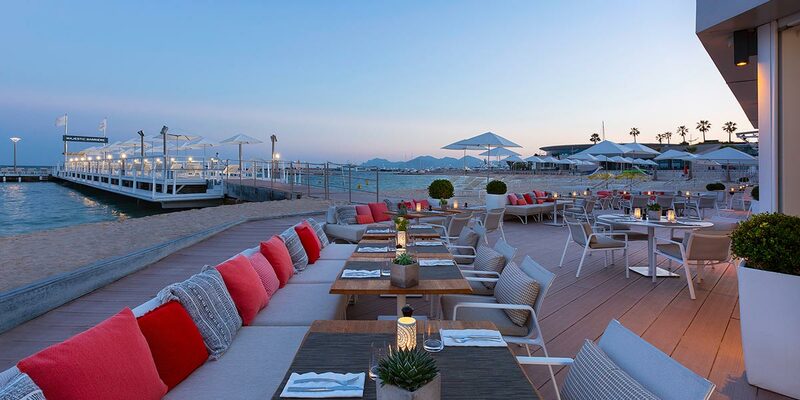 Le Fouquet's Cannes can host 190 for dinner, 80 inside and 110 on the terrace. 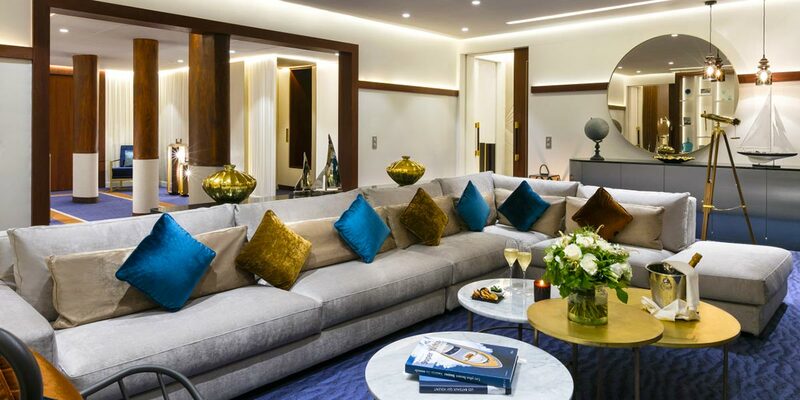 Within the property is the 450 sq.m 'Spa Diane Barrière' boasting five treatment booths, a hammam, a sauna, and ultra-modern fitness facilities. 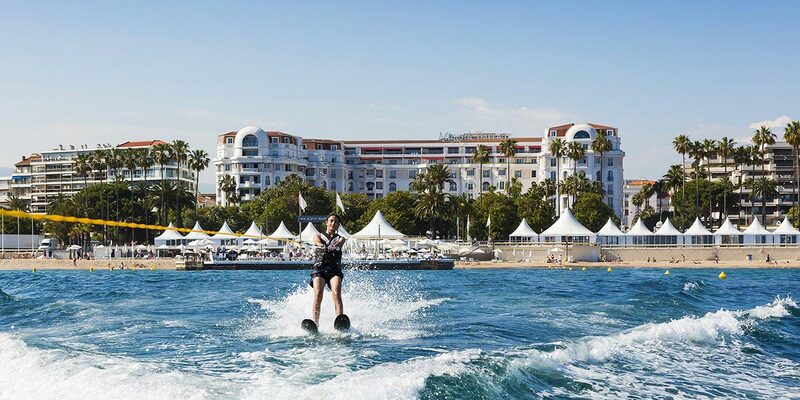 There are also a variety of activities available to guests including water sports, golf, and tennis, making this an excellent corporate incentive or conference venue. 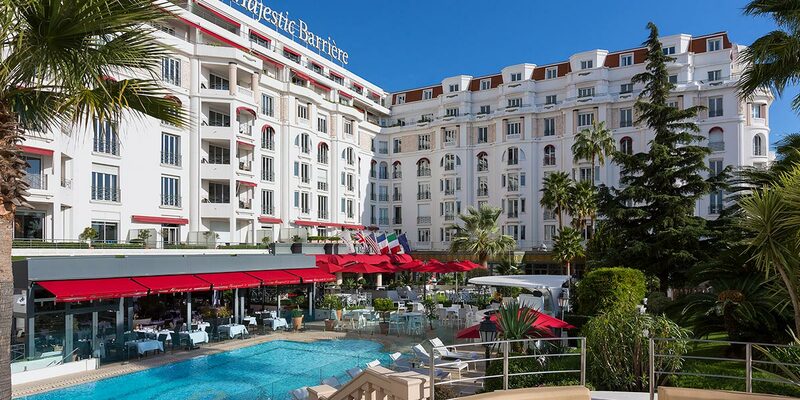 The Hotel Barrière Le Majestic Cannes event spaces offer the winning combination of tradition, modernity, and service excellence. 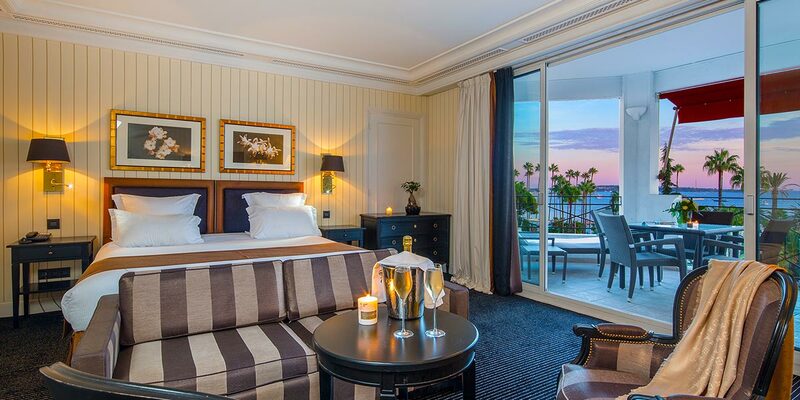 The present hotel is the result of the merger of the former hôtel Beau-Rivage and two neighbouring villas. 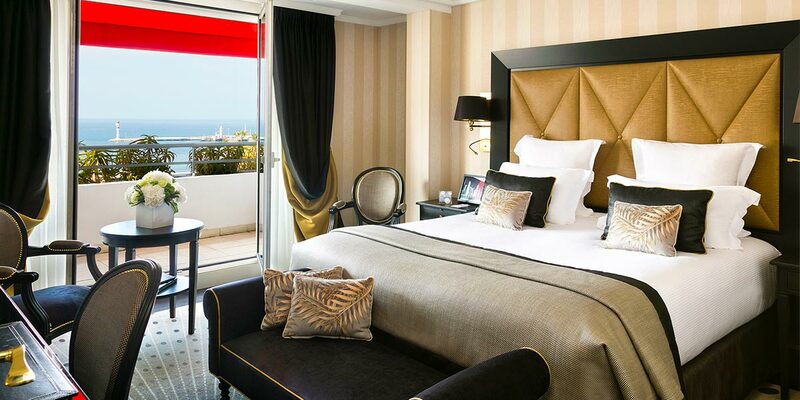 Construction began in 1923 under the leadership of architect Théo Petit, who was also the architect of the hôtel Normandy in Deauville. 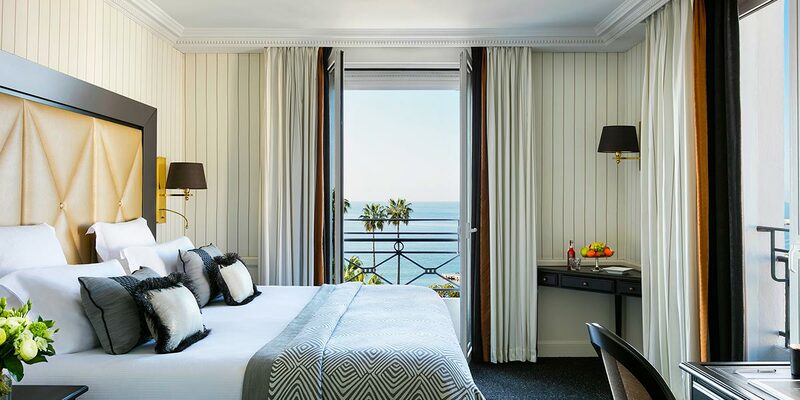 He produced an art deco design with the main façade and two rear wings, but only the east wing and the main body were finished when the hotel opened in 1926. 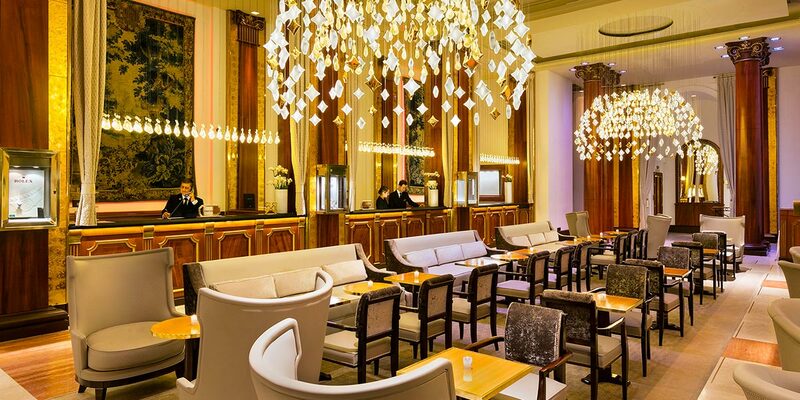 The rest of the central body of the building was extended in 1928 by the architects Charles Nicod and Émile Molinié. 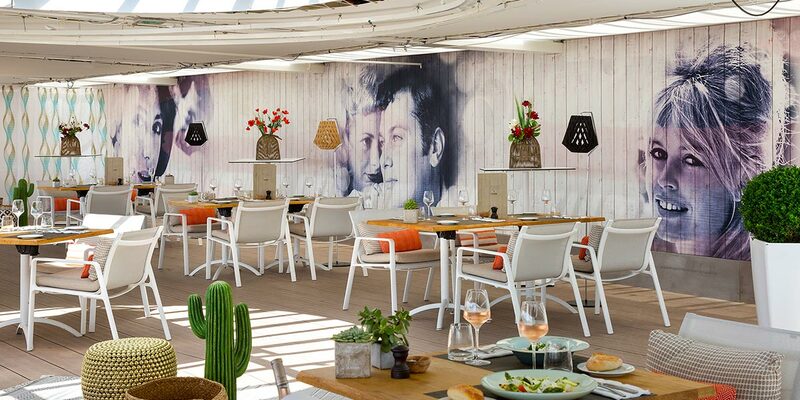 At this point, the interiors were also redecorated by Maurice Debenedetti. 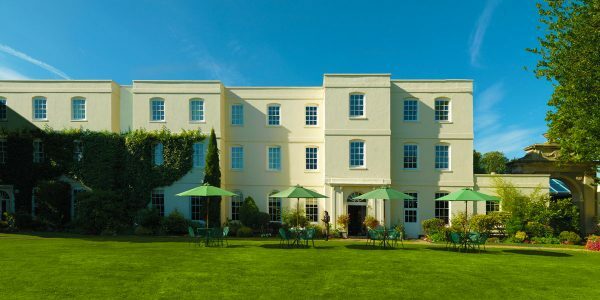 Two floors were added to the top of the building in 1965 and in 1990 the façades were rebuilt uniformly in their original art deco style.